2 Bedroom Terraced House For Sale in Hyde for Offers Over £150,000. Sure to attract early attention is this immaculately presented bay fronted cottage in a very well regarded location in Gee cross. This beautiful property is offered on a no chain basis. It consists of 2 double bedrooms, a family bathroom, a large lounge/diner leading on to a modern kitchen. 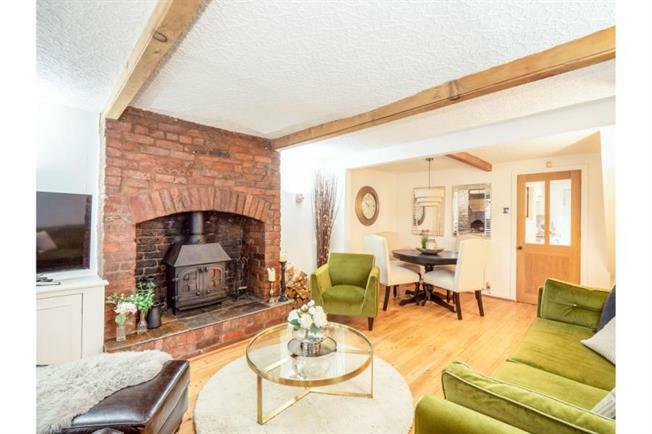 The property benefits from original features such as ceiling beams, original fireplace & a wood burner in the lounge. Externally to the rear is a patio garden with a decking area.